Cindy is an Emmy Award winning producer who has worked in the entertainment field for more than 25 years. 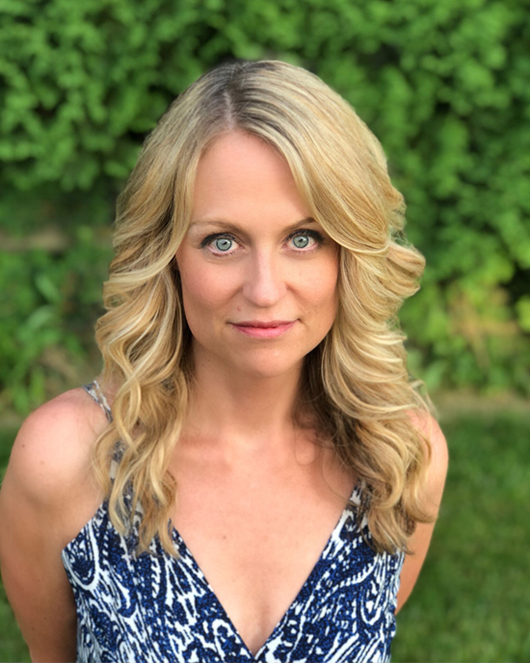 As co-founder of Ready Set Productions, she is involved in every phase of production as well as the development of new programming, including an ongoing international travel series for ABC. A seasoned television executive, Cindy has also overseen projects for Animal Planet, National Geographic, WE, HGTV, DIY, A&E, FLN and ABC's The Live Well Network. Julia Fisher Farbman is passionate about being a voice for females in media, and creating more opportunities for women behind the scenes. Throughout her career as a seasoned journalist, she has interviewed high profile individuals such as His Holiness the 14th Dalai Lama, former First Lady Michelle Obama, Civil Rights revolutionary, Reverend James Lawson, Co-founder of the Malala Fund, Shiza Shahid, Sarah, Duchess of York, Stana Katic, along with other notables. Julia has also worked on movie sets, international productions, live productions such as Miss America, as well as productions at esteemed venues like the United Nations and the National Constitution Center. Most recently she was recognized by Folio Magazine as one of the 2018 Top Women in Media. ‘Mo Tait,’ as she's known throughout the industry, is a seasoned TV writer, producer, and director with more than two decades of experience across a variety of genres from comedy and documentary to reality, home improvement, and travel. Maureen has worked with some of the leading names in the world of entertainment, including Madonna, Maroon 5, Sara Bareilles, and Ice-T, among other notable pop culture figures. Maureen's projects have been featured on VH1, MTV, ABC, HGTV, and The Live Well Network, among others. She's incredibly passionate about highlighting positive stories of individuals working to make a difference in their communities. Holly is a television industry insider with over 20 years of experience. Her creative eye and strong storytelling skills have been featured across a variety of genres, including reality, home improvement, music television, news, and documentaries. Her diverse background is matched only by her passion for quality programming. As an Executive Producer, she oversaw 6 seasons each of HGTV’s “Spice Up My Kitchen” and “Save My Bath,” as well as “Fix This Yard” and “Drill Team” for A&E. Holly has discovered, developed and worked with top talent and interviewed high profile individuals such as Michael Jackson, Elton John, Justin Timberlake, Sean P. Diddy Combs, Mick Jagger, Hillary Clinton, among many others. Her true passion always goes back to telling incredible stories about incredible people and finding the common thread that binds us all together. Holly has produced for A&E, VH1, MTV, HGTV, DIY, CBS, FOX, NBC, ABC, CMT and The Live Well Network. Michele is an award winning documentary filmmaker with 20 years of experience in the TV industry. Michele spent two years an Executive Producer of "Spice Up My Kitchen" and "Save My Bath" which were seen on HGTV. She then went on to executive produce DIY’s "Kitchen Impossible" for 5 seasons. Her executive producing experience also includes, “Staten Island Cakes” on WeTV and “Tanked” for Animal Plant. But it is her documentary experience that brings her the most reward. Some of the documentaries she directed, edited and produced include: “3:15,” “Race to the Bottom of the Earth” seen on the National Geographic Channel, a short documentary on homeless kids in America titled “Can You See Me Now,” and a short documentary on Postpartum OCD titled “Beyond the Fear.” In 2016 she completed her fifth documentary covering the effects of sea level rise called “Rising Tides.” Michele continues her journey as a cinematic storyteller through highlighting incredible stories as Senior Editor on Modern Hero.